Our focus is our members. How can we help you? APA QLD members have access to the State Liaison Officer and our Industrial Advisor. APA QLD can also provide access to multiple Legal Firms when the need is required. APA QLD exists to support our members. From lobbying the QLD State Government concerning ambulance issues, to engaging the media to raise awareness of issues facing our members. Helping members to lodge grievances, attending meetings members have with management as a support person, and generally giving guidance in dealing with problems. Studying to be a Paramedic? APA QLD offers Free Student Membership to University Students. Restrictions to services apply, please follow the link to find out more. A Message From Your State Secretary. 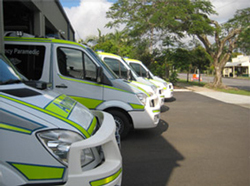 The Australian Paramedics Association Queensland (APA QLD) assists frontline emergency services employees including Paramedics, Emergency Medical Dispatchers and Patient Transport Officers in Queensland. APA QLD has a proven track record of providing industrial support and advice and legal assistance to its members by providing prompt and responsive support 7 days a week. Ambulance work does not just take place Monday to Friday, 9am to 5pm, so we have tailored the association around a 24hr job and provide 24hr support. We understand the job because we work in the job. The nature of our work is such that every person, every patient, every case is different requiring a more individualised personal approach to your support.